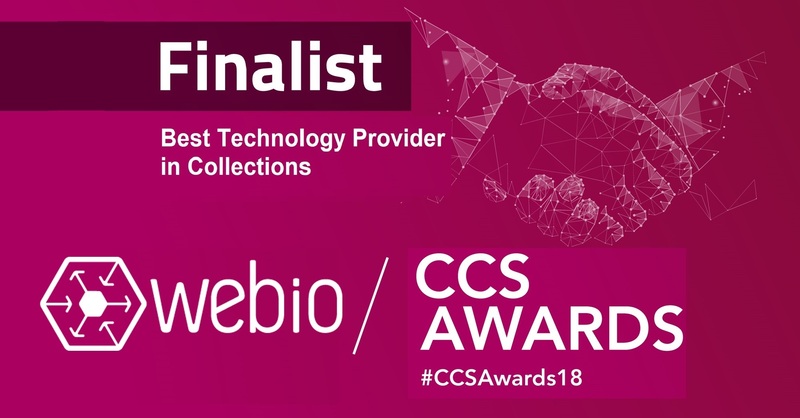 Webio, the Conversational Middleware Company who empowers companies to reach across messaging apps and voice interfaces to engage with customers and collect payments has been named as a finalist in the 2018 Collections and Customer Service Awards. Recognising success in the Collections and Customer Service industry, the Collections & Customer Service Awards return for its 12th year to recognise the outstanding achievements of those within collections and customer service. Aiming to reflect the exceptional and critical work within the industry, the awards honour professionals with a particular focus on conduct and compliance and include categories such as Agent of the Year, Best Collections Technology and Best Customer Service Provider - view all categories here. “This is an exciting time for Webio. We are just off the back of winning two awards at the Credit and Collections Technology awards – ‘Best Collections and Recovery ’ and ‘Best Customer Engagement’ solutions. Is it fantastic that the work that we are doing is being validated and recognised, says Cormac O’Neill, CEO at Webio. “ We have been working closely with our collections clients to introduce newer contact channels and AI driven customer engagement to improve their key metrics, and we have had some amazing results"
The independently judged awards will culminate in a prestigious black tie dinner and ceremony at The Midland Hotel on November 21st.